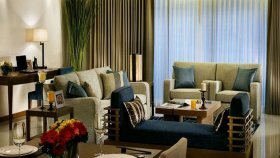 Comprising eight floors of elegantly designed serviced apartments, Oakwood Residence Sukhumvit Thonglor, Bangkok is situated in an exclusive, upscale neighborhood. With proximity to gourmet restaurants and trendy nightspots, its location provides for your every need. 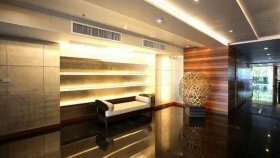 Oakwood Residence Sukhumvit Thonglor is a condo project developed by Oakwood Residence, Oakwood Residence Sukhumvit Thonglor has 8 floors Units range from studio to 99 bedroom. 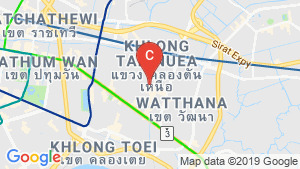 Oakwood Residence Sukhumvit Thonglor at Khlong Tan Nuea, Watthana has the following facilities: cctv, fitness, parking, security, swimming pool and wi fi. There are 25 condos for rent in Oakwood Residence Sukhumvit Thonglor available from ฿62,000 to ฿160,000 per month (based on 1 year rental term). 3 Bedroom Apartment for Rent at Oakwood Residence. 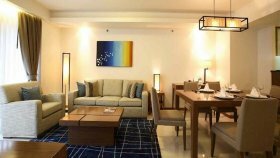 Oakwood Residence apartment 1 Bedroom for rent in Sukhumvit Bangkok ThongLo BTS. 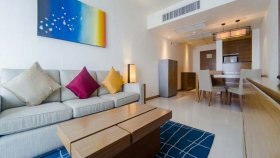 Oakwood Residence apartment 2 Bedroom for rent in Sukhumvit Bangkok ThongLo BTS. 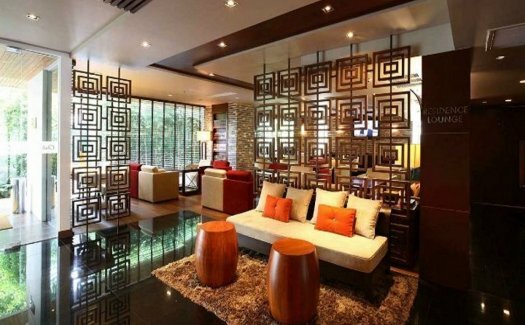 Oakwood Residence apartment 3 Bedroom for rent in Sukhumvit Bangkok ThongLo BTS. Oakwood Residence apartment 99 Bedroom for rent in Sukhumvit Bangkok ThongLo BTS. Oakwood Residence Sukhumvit Thonglor Middle Sukhumvit ( Phromphong - Thong Lor - Ekamai),Bangkok. Oakwood Residence Apartment for Rent in Sukhumvit 55. Oakwood Residence Sukhumvit 24 / Apartment (Serviced) For Rent / 1 Bedroom / 53 SQM / BTS Phrom Phong / Bangkok. Oakwood Residence Sukhumvit 24 / Apartment (Serviced) For Rent / 1 Bedroom / 42 SQM / BTS Phrom Phong / Bangkok. Oakwood Residence Sukhumvit 24 / Apartment (Serviced) For Rent / 1 Bedroom / 60 SQM / BTS Phrom Phong / Bangkok. Oakwood Residence Sukhumvit 24 / Apartment (Serviced) For Rent / 1 Bedroom / 34 SQM / BTS Phrom Phong / Bangkok. Oakwood Residence Sukhumvit 24 / Apartment (Serviced) For Rent / 2 Bedroom / 84 SQM / BTS Phrom Phong / Bangkok. Apartment Oakwood Residence for Rent on Sukhumvit Soi 55. For Rent, 2 Bedroom Apartment in Thonglor Area.